As Arne Jacobsen designed in 1942 for the City Hall of Århus the City Hall clock, he at the same time created a design icon for home. 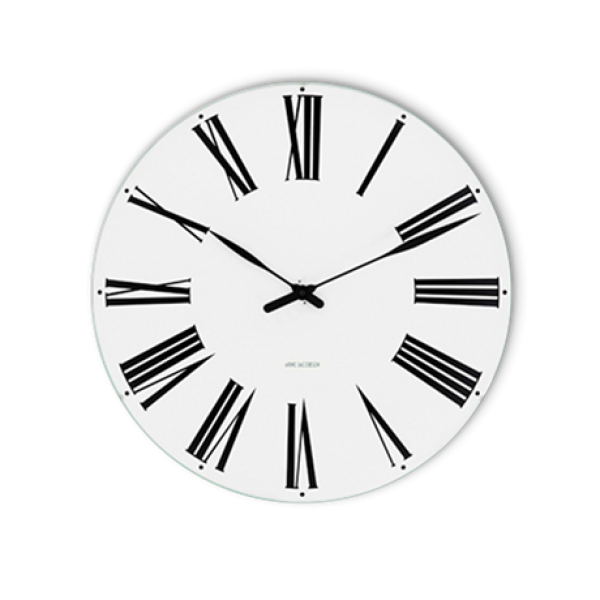 The wall clock is available in 4 sizes and created today according to the original drawings. The largest is 48 cm. The watch case gives a sense of the clock with its concave glass front, she would float on the wall. A great gift idea for the wedding, for an anniversary, a birthday, for students and other occasions.